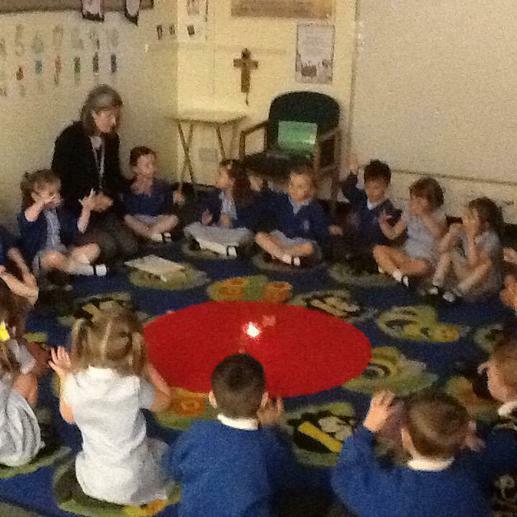 Nursery had a Pentecost prayer service. 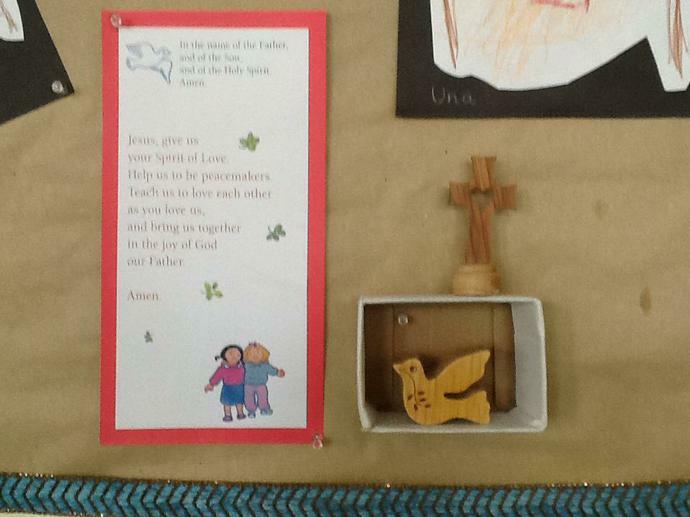 We thought about symbols of the Holy Spirit, said a prayer and sang a hymn. After our service we made symbols of the Holy Spirit with playdough. 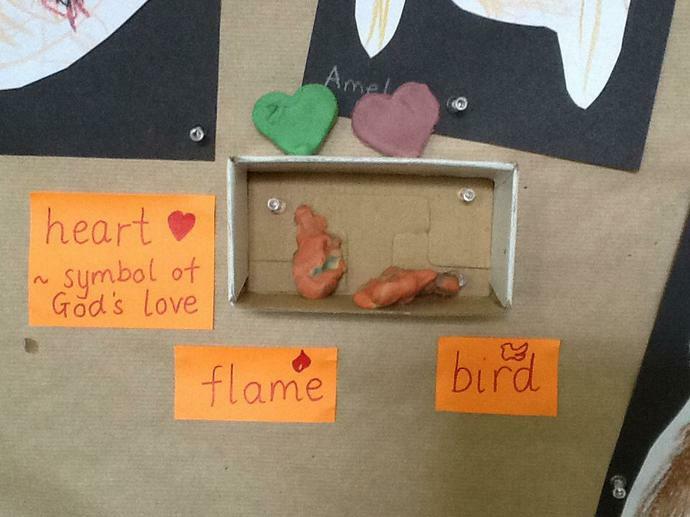 Can you see the flame and the bird? We wanted to make hearts too - they remind us of God's love. 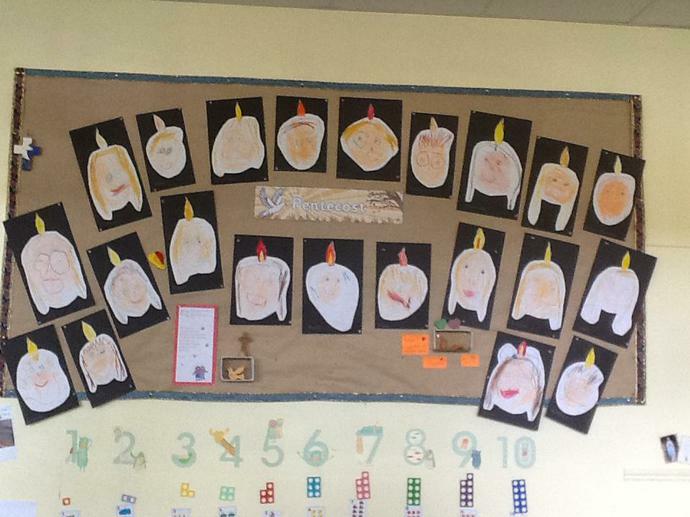 Conker class are preparing to join the rest of our school in Mass. Our Chaplains have shared some of the prayers we will hear; the Hail Mary and the Our Father. 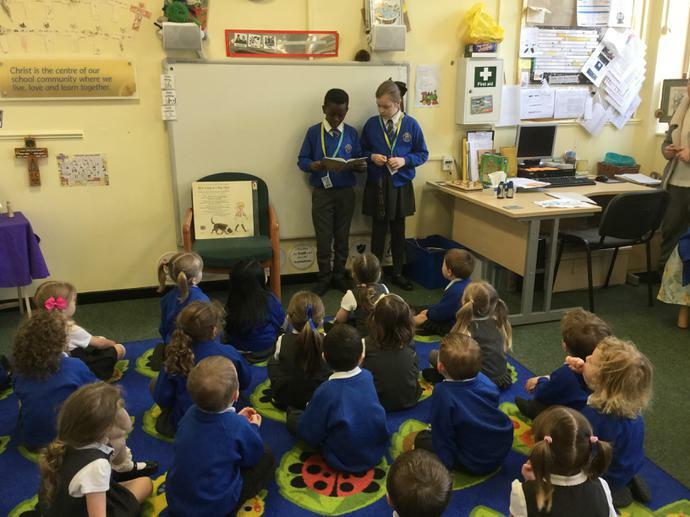 Mrs Anthony taught us some hymns with actions that we can join in with. 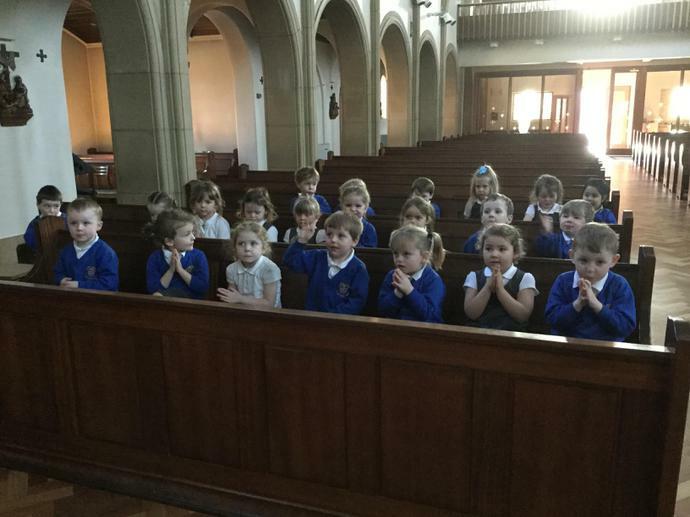 We already know how to make the Sign of the Cross and are good at listening to bible stories. We need to practise offering each other the Sign of Peace and go to visit the church.